We all want to know how to improve spoken English. But for some of us, there’s a big obstacle. To improve English speaking, the best thing to do is to talk with a native speaker. But not all of us have that option! What if you don’t know anyone who speaks English? What if you don’t have time? What if you simply don’t feel confident enough yet to practice with a native? How can you practice speaking English without anybody else to help you? Don’t worry. You can still improve your spoken English, even without a speaking partner. We’re going to explain how. No speaking partner? No problem! Sometimes the difficult thing about English speaking isn’t the language itself, but how you think about it. If you think in your native language and then try to speak English, you’ll always have to translate between languages. Translating isn’t an easy thing to do! Even people fluent in two or more languages have trouble switching between languages. The solution is to think in English. You can do this anywhere, anytime. Try to use English when you’re thinking about your day, or when you’re trying to decide what food to order. Even try to use an English-to-English dictionary to look up words. That way you never have to use your native language and translate words. You’ll notice that when you think in English, it’s easier for you to speak in English. Whenever you’re at home (or alone somewhere else) you can improve English speaking with your favorite person: yourself. If you’re already thinking in English, try speaking your thoughts out loud. Read out loud, too. Practice is practice, and even if you don’t have anyone to correct your mistakes, just the act of speaking out loud will help you become more comfortable speaking English. Whenever you can, take a few minutes out of your day to stand in front of the mirror and speak. Choose a topic, set a timer for two or three minutes and just talk. The point of this exercise is to watch your mouth, face and body language as you speak. It also makes you feel like you’re talking to someone, so you can pretend you’re having a discussion with a study buddy. Talk for the full two or three minutes. Don’t stop! If you get stuck on a word you don’t know, try expressing your idea in a different way. You can always look up how to say that word after the two to three minutes end. This will definitely help you find out what kinds of words or sentences you have trouble with. When you speak in English, how often do you stop? The more you stop, the less confident you sound and the less comfortable you become. Try the mirror exercise above, but challenge yourself to speak without stopping or stammering (taking pauses between your words) the entire time. This might mean that your sentences won’t be grammatically perfect, and that’s okay! If you focus on speaking fluently instead of correctly, you’ll still be understood and you’ll sound better. 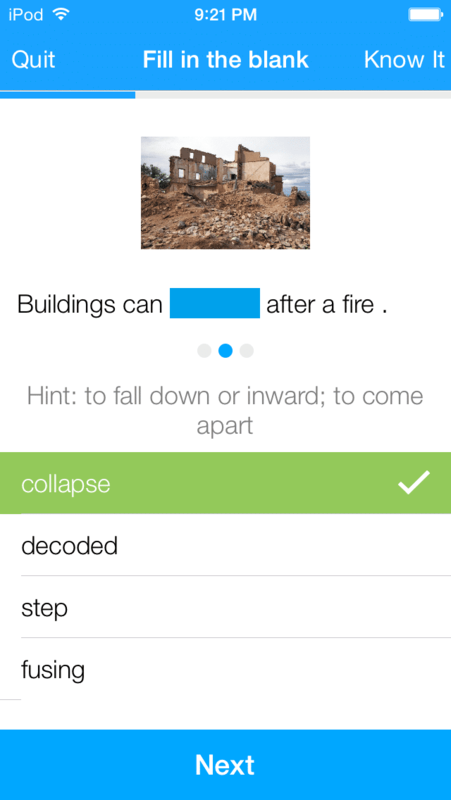 You can fill in the correct grammar and word rules as you learn them better. Tongue twisters are series of words that are difficult to say quickly. One example is: “The thirty-three thieves thought that they thrilled the throne throughout Thursday.” Try saying this a few times! It’s not easy. Word games like this will help you find the right placement for your mouth and tongue, and can even help your pronunciation. You can find a list of great tongue twisters here. Do you watch TV shows or YouTube videos in English? Use them to improve your fluency. Choose a short part of a show and repeat it line by line. Try to match the tone, speed and even the accent (if you can). It doesn’t matter if you miss a few words, the important thing is to keep talking. Try to sound just like the native speakers on the show. FluentU is a great way to practice listening and repeating. Whenever you watch a video here, you’ll see all of the spoken words right there on your screen. This makes listening and repeating even easier. Just turn off the subtitles when you want a challenge! 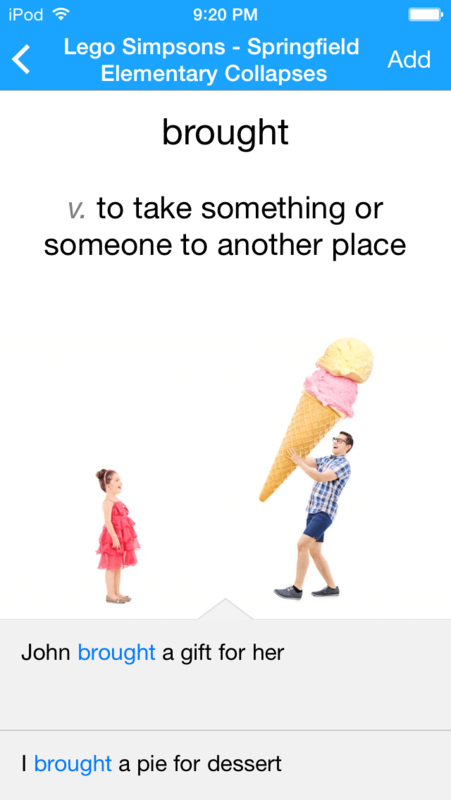 If you see a word you don’t know, tap on the word to see an image, definition, examples, and other videos in which the word is used. FluentU lets you tap to look up any word. You can learn any video’s vocabulary with FluentU. Swipe left or right to see more examples for the word you’re learning. FluentU helps you learn fast with useful questions and multiple examples. Learn more. At FluentU, you can decide how you learn. You’ll have the freedom to choose which videos are most interesting to your personal learning experience. The more you listen to this authentic English, the better you will understand how to speak English naturally. Start using FluentU on the website with your computer or tablet, or download the FluentU app from the iTunes store or Google Play store. English uses stresses in words and sentences. That means when you speak English you’ll need to stress, or emphasize, certain words and syllables (sounds) to give words and sentences different meanings. Listen to where native speakers place the emphasis when they speak. Try to repeat it the same way to improve English stress in your own speech. This won’t only help you speak English well, it might even reduce misunderstandings. Sometimes the placing the stress on the wrong syllable completely changes the word. The word ADdress, for instance, isn’t the same as the word adDRESS. ADdress refers to a physical location where someone lives, and adDRESS means to formally speak to a group of people. Learn to hear the difference! Singing along to your favorite English songs will help you become more fluent. This is a tried-and-true language learning method that’s backed by science. Once you can sing along to Taylor Swift and Jason Mraz, you can test your skills with something a bit more difficult: rap! Rap is a great way to practice English because often the words are spoken like regular sentences. However, the rapper uses a stronger rhythm and faster speed. Some of the words might not make sense, but if you can keep up with the rapper then you’re on your way to becoming fluent! Some practice comes before you even open your mouth. Make speaking easier by learning the different forms of any words you learn. You should do this when you’re learning new vocabulary. For example, if you just learned the word write, you should also learn some other forms like wrote and written. Knowing the correct way to use a word in any kind of sentence is important. This knowledge will help you while speaking. You won’t have to stop and think of different words—you’ll know exactly when you need to use that word while speaking. An even better idea to improve English is to learn word phrases, not just words. You might be using correct grammar and vocabulary, but it’s still not how a native speaker would say it. For example, you can say “how do you feel today?” but a native speaker might say “how’re you doing?” or “what’s up?” instead. 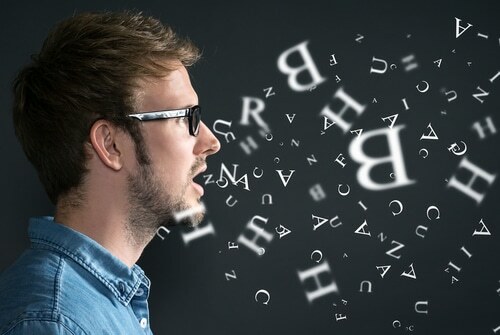 Phrases and expressions can be helpful for sounding more natural when you speak. Take some time to really notice how you speak in your native language. What words and phrases do you use the most often? Learn how to say your most commonly used phrases and words in English. Knowing them in English will help you speak as well in English as you do in your native language. Are you learning English speaking for a specific reason? For example, are you learning English so you can get a job in an English-speaking company? In that case, practice English that will help you in an interview. Are you learning English so you can make friends in America? Then you would need a different kind of English. Before you go to a place where you have to speak English, you can practice what you might have to say. If you’re preparing to go to a restaurant, what might conversations in a restaurant sound like? Answer the questions a waiter might ask you. Try talking about food and menus. You’ll feel more confident if you’re prepared! You can be your best helper or your worst enemy when learning to speak fluently! We know it’s hard, but you should try not to worry about how you sound when you speak. Just relax! If you get stuck or confused, just take a big breath and start over. Speak slower if you have to. Take time to pause and think about your next sentence. Do whatever it takes to become more comfortable with speaking English. Here’s a fun way to test how well your spoken English has developed: choose a story that you know really well and tell it in English. Remember to think in English as you’re telling your story. Focus on speaking fluently instead of correctly. Say every sentence out loud to yourself. Even if you have nobody to talk to in English, you can still build confidence and master fluency on your own time. In some ways, practicing speaking is even easier by yourself! Now you know exactly how to improve spoken English by yourself and should feel confident doing so!